If you are over forty (like me) and want to get in shape or stay in shape, you really do need a well thought out plan of attack. Sure, it’s great to wear a Fitbit or to commit to parking further away from the mall entrance, but just walking and moving around more is not going to do the job. You might be able to stay trim just by moving around more, but if you don’t move your body in a way that really challenges your muscles then you will quickly start to lose your functional fitness. Being functionally fit means being strong and limber and having enough endurance to walk for hours on end. In a nutshell, functional fitness is what makes moving around in day to day life easier. It also helps protect you from injury. Luckily, you don’t need to leave your house to get functionally fit. 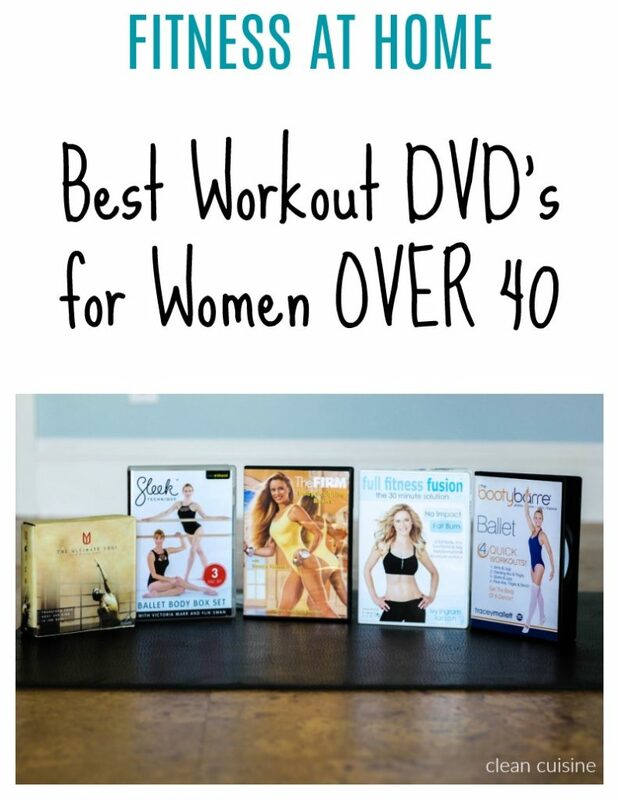 I have rounded up five of my favorite over 40 workout DVD’s that will help you shape up without even having to leave your house! If you have read the exercise chapter in our Clean Cuisine book, you know I am big into the idea of fusion fitness. This basically means I think it is best to incorporate a variety of different exercise training techniques. I love yoga for example, but I don’t think you should just do yoga. Doing just one type of a workout can not only get boring, but it’s not going to be the most effective at keeping your body functionally fit in the long run. The “Over 40 Workout DVD’s” I rounded up below offer a great variety of different exercise techniques. Each workout is very unique, so you won’t get bored. 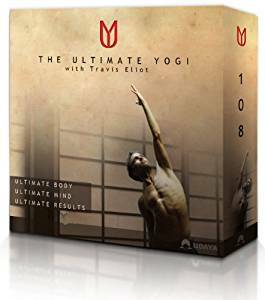 If you rotate the DVD’s and workout consistently using just these five videos, you can achieve an incredibly functionally fit and balanced body…without even leaving your house! The course is not cheap, but it is incredibly comprehensive. I don’t think you will find a better, more well-balanced and diverse home yoga program on the market. Created by two professional dancers, Victoria Marr and Flik Swan, Sleek Technique is a no-nonsense workout program based on authentic ballet technique. You won’t be learning a dance routine, instead you will be going through a sequence of exercises designed to help you build the strength, stamina and grace of a dancer. I have a good deal of dance experience and I can tell you Marr and Swan have done an incredible job of creating a solid and beautifully choreographed workout system that both former dancers and non-dancers will benefit from. Sleek Ballet Bootcamp: This one will raise your heart rate the most. It includes 3 separate 20-minute workouts. Sleek Barre Technique: Based on traditional barre exercises, the exercises in this DVD can all be done using a chair. It includes 3 separate 20-minute workouts. 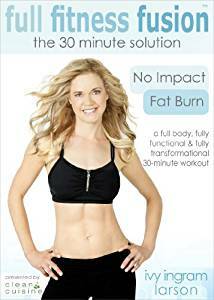 Sleek Full Ballet Body Sculpt: From tummy to thighs, arms and glutes, this DVD includes 5 separate 10-minute sculpting routines. If you are a beginner, you will probably want to start with this one. Ok, so this one is my own, but I had to include it =) Full Fitness Fusion is the workout based on the exercise program we outline in our Clean Cuisine book. If you have hip or knee issues, this is almost surely a workout you will be able to do. It’s a full body 30-minute, high-intensity, but NO IMPACT workout. I was 38 when I filmed it, but I filmed it just 9 months after a major hip surgery (a derotational osteotamy) for a congenital hip disorder. You can read more about my story here, but the photos below are of me in the hospital. I couldn’t walk for almost 7 months after the surgery, and the Full Fitness Fusion workout was filmed just 9 months after the surgery. In addition, I had 3 friends join me in the video and one had a knee surgery less than a year before we filmed and the other was pregnant with her 2nd child. In other words, this is a very doable workout. But it’s also highly effective and will definitely get results. You will burn fat and train every major muscle in your body. Full Fitness Fusion fuses a variety of exercise techniques and is very modifiable depending on your fitness level. Do not let the date (1986) this was filmed make you think the workout is outdated. Trust me, it’s not. To date, The Firm Volume 1 with Susan Harris remains one of the very best workouts I have ever done. This video and I go way back! I started doing it when I was just 16 years old and I even did it (with very few modifications) on the day I gave birth to my son 16 years ago. The Firm eventually became a major brand name with multiple different videos, but in my opinion, this first one was the very best and most effective. Volume 1 was designed by The Firm founder, Anna Benson, and it was way ahead of its time combining weights and aerobics. There is very little jumping around, it is primarily a routine that elevates your heart rate and burns fat by doing combination upper body/ lower body exercises with light to medium pound dumbbells. Created by International Fitness expert, Tracey Mallet (who happens to be a good friend of mine), Booty Barre Ballet is an incredibly fun yet highly effective workout. If you are bored doing the same old thing and want to shake things up, Booty Barre Ballet is definitely the workout to try! Although the emphasis is on ballet-inspired moves, the workout also works in a bit of yoga and pilates. It is the perfect combination of strength and flexibility with an added cardiovascular element utilizing the barre. And finally, be sure to check out my three “Fit Over 40” YouTube Videos!